The Nexia New Zealand Canterbury Sports Event of the Year the Urology Associates Movember Car Park Cannonball is on again on Saturday the 1st of December with organisers saying it’s going to be bigger and even better. Held for the first time last year the unique inner city urban event beat off international rugby, rugby league and hockey events to win the Nexia New Zealand Sports Event of the Year at the 2018 Canterbury Sports Awards in March. Event organiser John McKenzie from enthuse media & events said the focus was on providing the best experience possible for the riders and spectators while raising awareness and money for men’s health and the Movember Foundation. The Christchurch Car Park Cannonball is the only southern hemisphere event in a global series with McKenzie saying that although last year’s inaugural event was very successful there are things that can be done to improve it in several areas. The event has been moved to a Saturday afternoon and early evening with an expanded expo and a new kids zoned planned. Entries opened in late September and are quickly filling up. With a DJ, band and energetic MC providing a party atmosphere, 2000 spectators enjoyed the event on the last Sunday in November last year as 120 riders battled it out racing head to head up the eight story Innovation Car Park building with the fastest riders taking just over a minute to reach the ‘party on the roof’ in a series of knock out races. McKenzie paid tribute to the Christchurch City Council who provided seed funding for the event last year and are back as a key partner as City Host for the next two years along with naming rights sponsor Urology Associates. 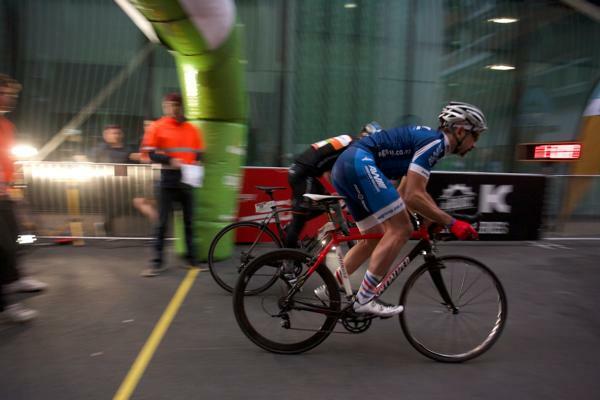 This year’s key sponsors are Urology Associates, the Christchurch City Council, Christchurch Casino, Hirepool, NZME and The Hits, CHAPTER2 bikes, SMITH optics, Champion System and Innovation Carpark Limited/Lichfield Lanes. The event is also being supported by Omega Tech Software and the Pegasus Cycling Club. “We are filling up quite quickly so riders wanting to be part of it shouldn’t wait too long,” McKenzie said. Riders can enter on the Pegasus Cycling Club website. McKenzie said there were also spaces available in the expo.